George Lamson is a retired biotechnology scientist that has owned a cabin in the Serene Lakes community on Donner Summit since 1998. He has been a full time resident on the summit since 2008. He is an avid hiker, mountain biker and skier and has explored every nook and cranny of the summit. His passion is photography and he shares his images of the summit area freely with many organizations. 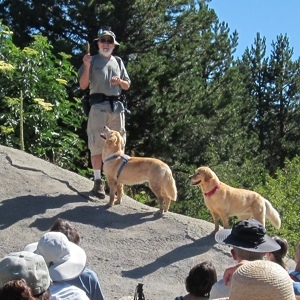 In the last 2 years he has worked closely with the Truckee Donner Land Trust in the acquisition of the Royal Gorge properties and today is an advocate of public open space on Donner Summit. 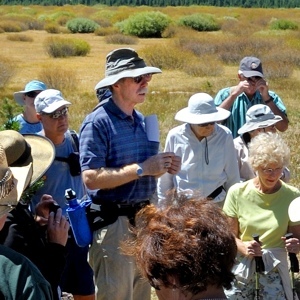 George leads hikes on the summit and shares his knowledge of human and natural history. 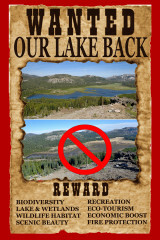 Van Norden Lake has become his focus as its existence became threatened in the last year. You can contact him by email. Bill Oudegeest has been a long time advocate for, and resident of, the Summit. 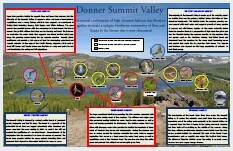 Over the decades on Donner Summit he has engaged in many community activities: building local websites, editing newsletters, leading hikes, giving talks, producing literature for visitors, serving in public office, MCing events, working for the local homeowners’ association, and working to reinvigorate the Summit economy. Before retiring from professional life Oudegeest worked in various teaching and administrative positions in the public schools for 36 years.